The big Christmas Tree Lighting, those Holiday Shows, the Big Parade, the fabulous window displays... these are some of the things you think of when you think of Christmas in the Big City! 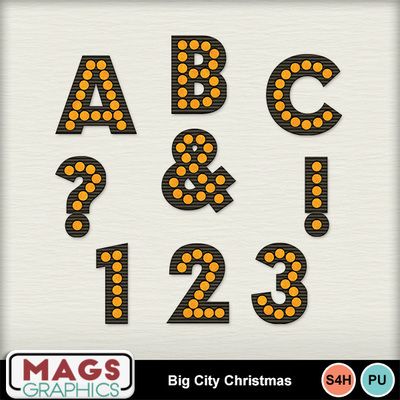 This collection is all about a BIG CITY CHRISTMAS, and I know you'll be able to make so many wonderful layouts with this! This is the ALPHA Pack. It contains 26 Uppercase Letters, 10 Numbers, and 16 Symbols.